The Sesamee 550 Resettable Combination Padlock comes in a Military Green (Putty) Finish with a 2-1/4" shackle. There are over 10,000 possible combinations to choose from with heel and toe locking and zinc diecast internal locking mechanisms. The automatic "0000" stop feature allows this padlock to be easily opened in the dark. 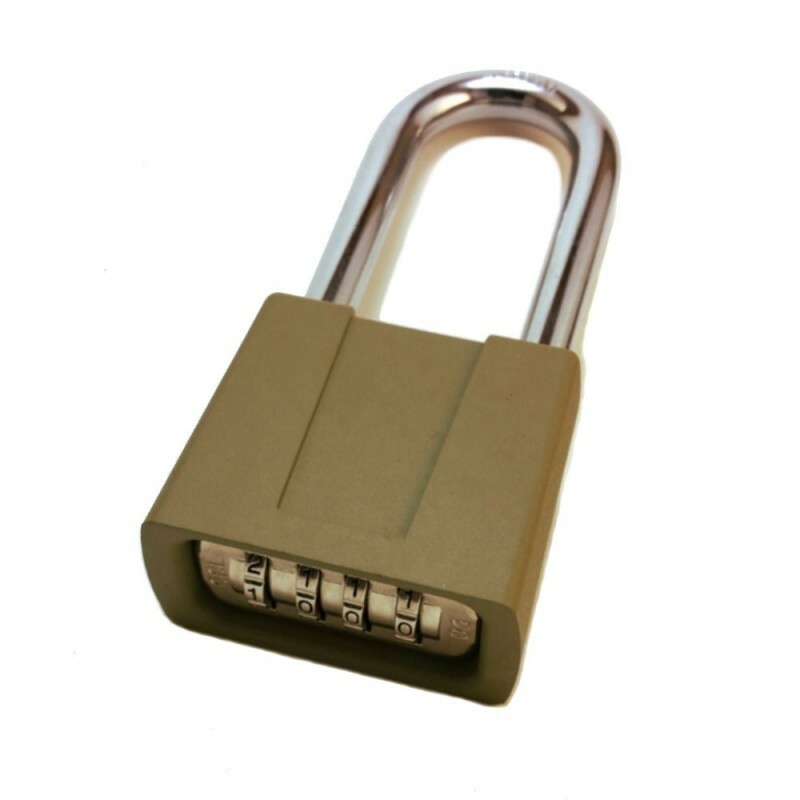 The Sesamee 550 padlock is simple to set up and usable at all times of the day. Zinc internal locking mechanism with hardened steel shackle. Automatic "0000" stop. Carded packaging from stock.